Giving you music – Night Mode "Dirac Spike" out now! With the full h&s rig. Too bad I can only turn it up to about 0.5! The Music Man is at its literal lowest (given that I run the power tubes wide open); adjust the knob any lower, and the sound is completely gone. Starting to not have to think so hard, and finding some good tricks for the Rubberneck. My engagement with ambient or “slow change” music might trace to becoming fascinated with Dosh in 2004, in Minneapolis. While his live-looping Rhodes-and-drums setup hardly has anything in common with ambient giants like Brian Eno or Éliane Radigue, Dosh’s music absorbed my attention in a different way than other music. It had a centering and grounding effect I had not previously heard or found. I found it again in William Basinski’s The Disintegration Loops in 2009, several years after their release. Local Kansas City act Expo 70 showed me how it could be done through amp volume and endless psychedelic guitar shredding when Mars Lights played with him in 2011. I fell in love with Julianna Barwick’s Nepenthe in 2014. By the time I discovered Cosmic Ground the next year, ambient / noise / kosmische music had taken equal place in my listening with rock, hip-hop, and metal. Folk music is primarily produced by amateurs, stored and distributed by oral transmission, occurs in nomadic/agrarian societies, is not accompanied by written theory or aesthetics, and authorship is usually anonymous. Art music is produced by professionals, stored and distributed by written musical notation, occurs in industrialized societies, is supported by a written theory or aesthetics, and authorship is non-anonymous. Popular music is produced by pros (though this is changing), stored and distributed by recordings, occurs in industrial societies, does not have a written theory or aesthetics, and authorship is generally known. Ambient music writ large does not seem to fit into this taxonomy. From Eno and Spiegel to ecstatic indigenous drumming to Sunn0))) to medieval religious chant, there are musics that take us deeper and deeper, relax our filters, and dissolve our egos. It is produced by amateurs and professionals, occurs in nomadic/agrarian and industrial societies, may be distributed orally, in writing, or by recording, may (Eno & others) or may not have a written theory, and authorship may or may not be known. The existence and ubiquity of this music speaks to the human desire to alter our own consciousness. I love it very much. It is an almost entirely different listening experience, with different aesthetic goals and values, than American folk, art, or pop music. Applying those ears to it will result in missing the good stuff about it. If you want to start re-sensitizing to more and more subtle auditory phenomena, The Expanding Universe is a fantastic place to do it. Spent yesterday afternoon opening up the Soundtracs and spraying Deoxit on every. single. pot. (i.e. the electrical part that’s behind every knob for non-gear folks). Before doing this, almost all of them scratched and crackled when turned, or even cut out at points, making the console nearly impossible to use for music. Fortunately, this thing was built to be easily serviced. 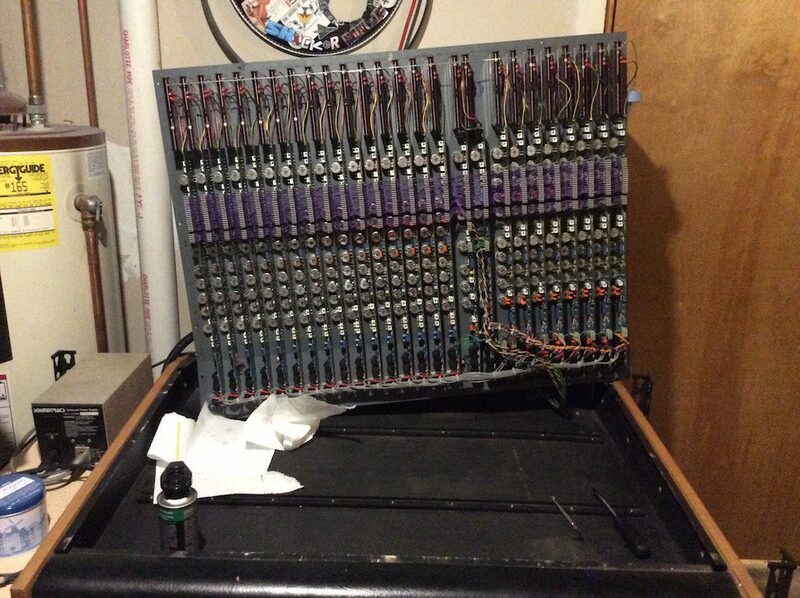 Every channel strip (vertical set of parts in the photo) is screwed to the top panel and the only jack not on the the top panel is the power, which had just the right amount of lead play (bundle of wires running behind the panel in the photo), making it straightforward to unscrew and lift off the entire top panel. Deoxit F5 cleans and lubricates electro-mechanical parts, like a special WD-40 for gear. 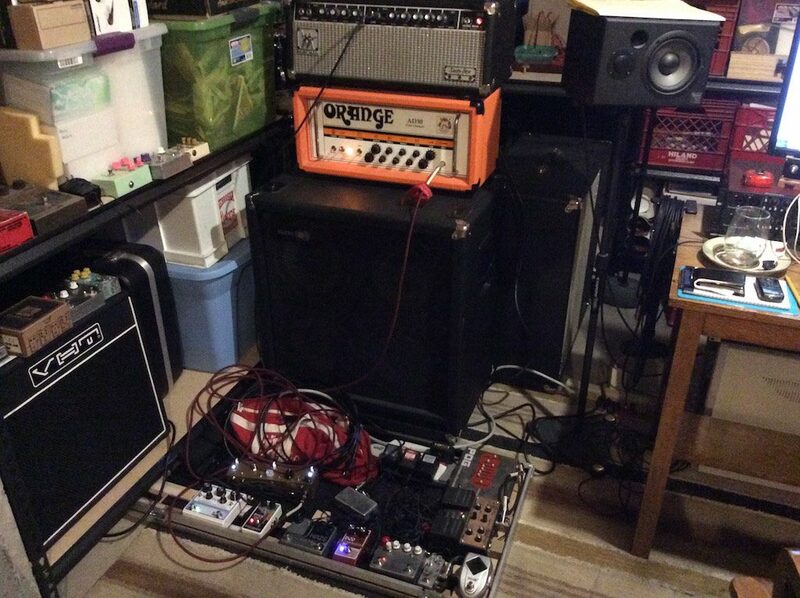 It took most of a can – maybe 3/4 – to spray every potentiometer on this board. I found a handwritten date inside – 25 October 1983 – which is probably an assembly or quality assurance date. This is a little later than I had thought this board was made. 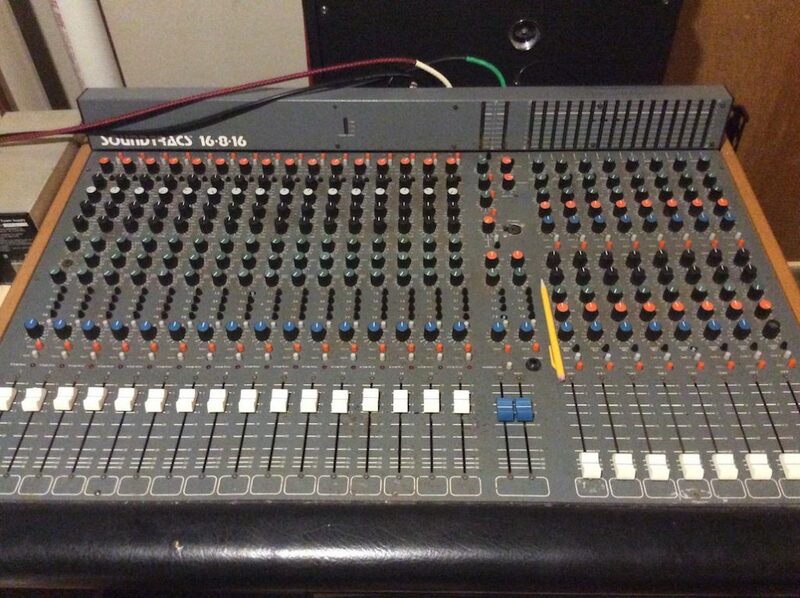 With the board cleaned up, I can proceed with setting up and documenting a neutral setting for it (where sounds sent to it from the computer come back to the computer with the minimum possible sonic change). Then it will be time to mix something! That might be a demonstration video, or it might be the Mars Lights “duo” LP. Jenny G is Coming for Scott’s Job! Posted on 23 March 2019 23 March 2019 Author hCategories [blog]Leave a comment on Jenny G is Coming for Scott’s Job! I don’t remember for certain where this idea came from. One of the howie&scott Seasides EP tracks included on the V for Voice CD and paid Bandcamp download will be “After the Rain (Night Mode disintegration mix),” and the picture above is a big part of how I made it. I started listening to The Disintegration Loops in 2009, a few years after they were released. I’m reconstructing memories here (ironic, I guess) but I think I must have abstractly wanted to do some kind of homage for a while. Then at some point realized that the verse guitar figure from “After the Rain” might work as source material. I didn’t copy William Basinski’s method – how could I, his was an accident and took years – but I re-created a similar effect, and added my own twists on the idea. 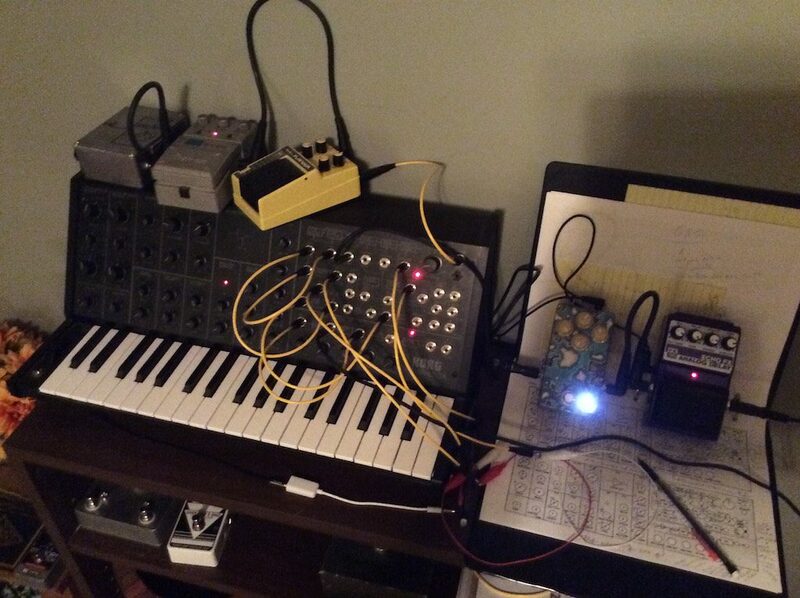 Once the computer work was all set, I ran the piece through pictured setup: two delays, phaser, and tape EQ and saturation. The mix should have something like its intended effect regardless of whether the listener knows The Disintegration Loops, but knowing them may add to the experience. Here’s the latest creation from the Mr. 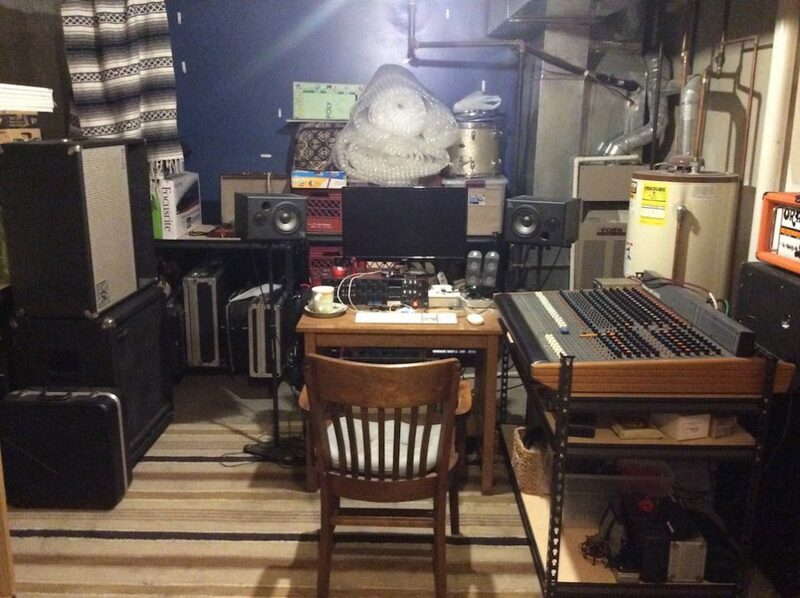 Furious Audio lab, which has haunted me for several months. It’s a mash-up of my previous SPFFy Bypass Loop Selector (can’t find a link, I guess I haven’t written about that), and a Mammoth Lace Looper kit. In non-tech terms it doesn’t make any sound on its own; it’s for turning multiple other pedals on or off with one stomp and no clicks or pops. I had to hack and kludge a bit, but it finally does everything it’s supposed to do. 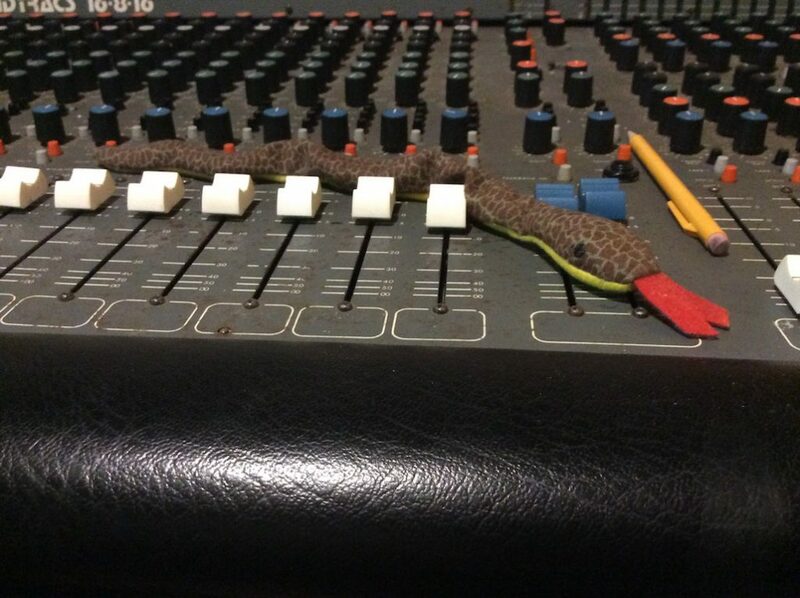 It’s mostly for recording, but might possibly see live use for future h&s stuff (beyond V for Voice, depending which direction we go after) or for Sneaky Sneaky Snakes. The various modes described below all have their uses in creating different effects textures and timbres for various sections of songs, plus the silent relay switching ensures no thumps or pops from standard 3PDT footswitches are recorded. Lace mode – A single relay-switched true bypass loop, controlled by the master bypass footswitch (farthest to the right). No other controls are active in Lace mode. Series mode – Two relay-switched buffered bypass loops in series. The second loop has a volume cut/boost and polarity inverter available when active and reverb/echo trails when deactivated. Parallel mode – Two relay-switched buffered bypass loops in parallel. Both loops have a volume cut/boost available when active and reverb/echo trails when deactivated, and the second loop has a polarity inverter. 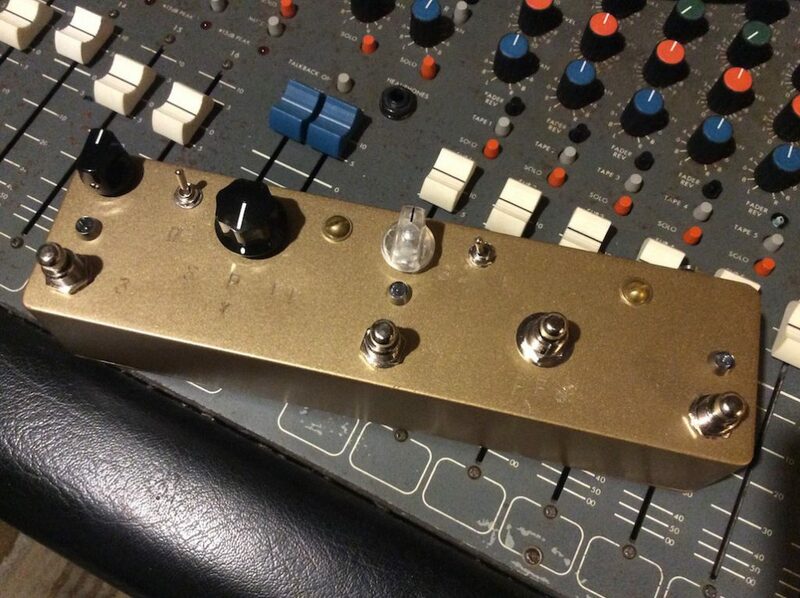 Flip-Flop mode – Two relay-switched buffered bypass loops in series; turning one on automatically turns the other off (!) *unless* the “FFX” (flip-flop kill) momentary switch is *also* engaged. The second loop has a volume cut/boost and polarity inverter available when active and reverb/echo trails when deactivated. Most of my time spent on this project was figuring out how to combine the Series/Parallel/Flip-Flop routing of the SPFFy with the Lace Looper relay bypass PCBs. I went into the project assuming, incorrectly, that the Lace PCBs used a three-pole design analogous to how I’d wire a standard 3PDT switch. Instead (and this makes sense in retrospect) they use a variation of the two-pole “Millenium bypass” (Google it if you’re interested) design. Once I realized this, I had to tear up my original plan for splicing the SPFFy and Lace sections of the circuit together and re-design it. Then, when I built that version, I realized that I hadn’t quite reverse-engineered the Lace relay and PCB correctly. I attempted to desolder one of the relays, destroyed it in the process, and had to order a replacement. After a final re-design, the whole thing worked as originally intended. Unfortunately, the Lace relays have some latency; when you turn one on or off there’s a split-second of silence. This will be acceptable in some situations (live, recording with plenty of reverb/delay, recording anything in Parallel mode) and not in others. There may be a third SPFFy in my future some day, perhaps using optical bypass for the loops. 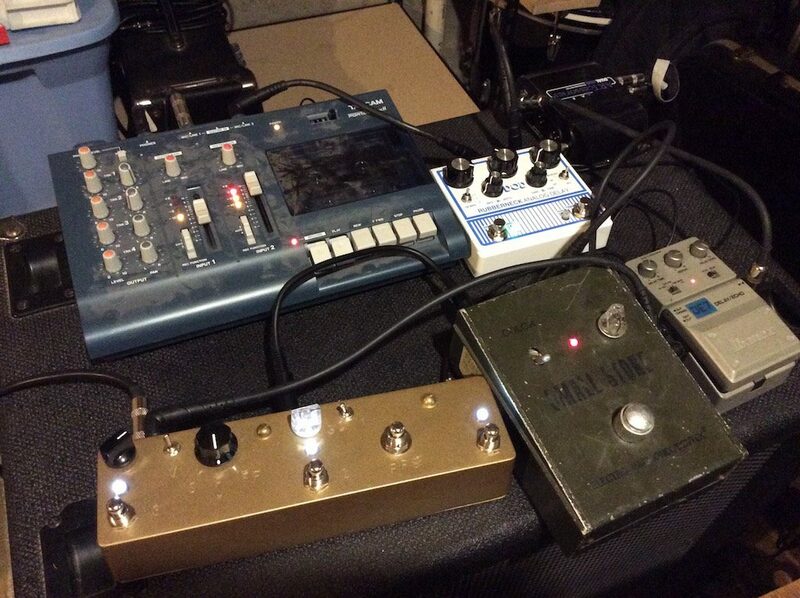 Multiple effects paths, a feedback drone oscillator, kludged and alligator-clipped CV routing… what more could you ask for? I’ve been synthing a bunch over the last week or two, mostly inspired by new and exciting ways to patch different things into the MS-20’s VCO2 input with the oscillator in ring mod mode. Most of the pieces are shorter and spontaneous, just things I capture as I try to figure out how to implement a certain idea for a patch I’ve been chasing. I finally figured out something that’s as close as I think the MS-20 will come last night. I have to control a parameter manually via the wheel that I’d prefer was automatic, but it’s OK; that adds its own level of randomness and humanity to whatever the piece ends up being. It’s close enough to exorcise this patch idea from my mind and let me move on. These pieces will eventually be collected under the name Only Mostly Dead and released as multiple digital Night Mode albums and a best-of single CD (as Selections from Only Mostly Dead).